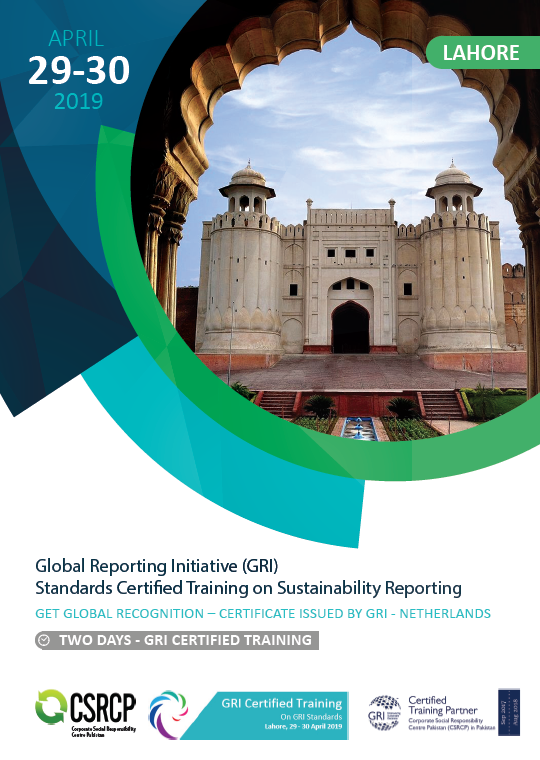 GRI Standard Certified Training on preparation a Sustainability Report focused on material sustainability issues will be held on April 29 – 30, 2019 in Lahore - Pakistan. GRI Standard Certified Training on preparation a Sustainability Report focused on material sustainability issues was held on August 15 – 16, 2018 in Karachi - Pakistan. New Sustainability Reports have been added to the database. Please visit database to check sustainability disclosure of leading companies of Pakistan.